Marketing, Sales, and Customer Success need to operate across the full funnel to drive growth. 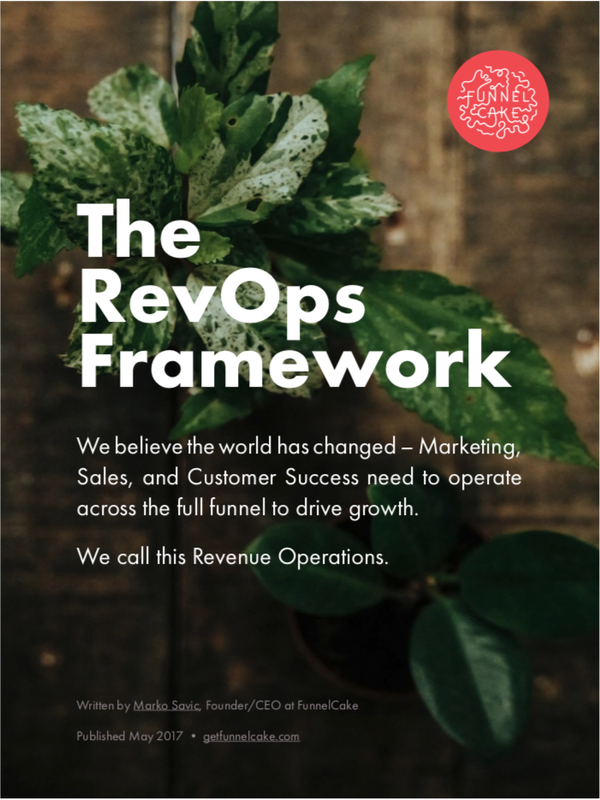 Revenue Operations, or RevOps, is a new department that manages full funnel operations across Marketing, Sales, and Customer Success. RevOps brings together four areas of responsibility from departmental silos: Operations, Enablement, Insights, and Tools. Keep an eye on your inbox. Your RevOps Framework PDF is on the way! 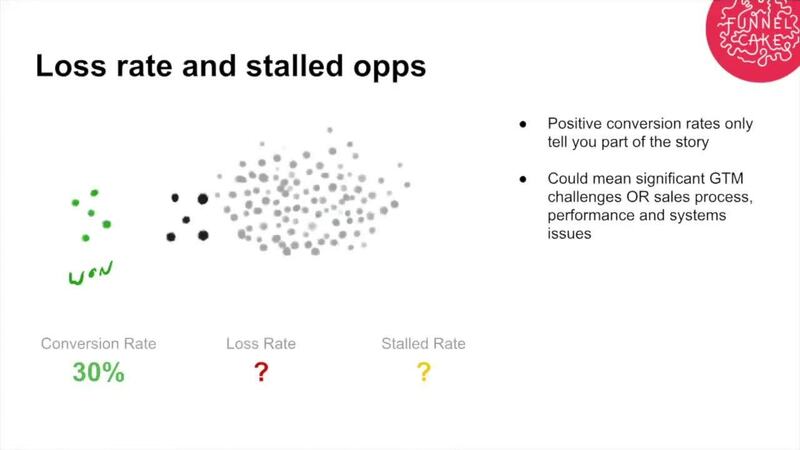 Learn how to discover and correct behavioral problems to drive predictable growth. By identifying and acting on red flags early, organizations have seen as much as a 2x improvement in lead-to-revenue conversion rates. Keep an eye on your inbox. Your PDF is on the way! 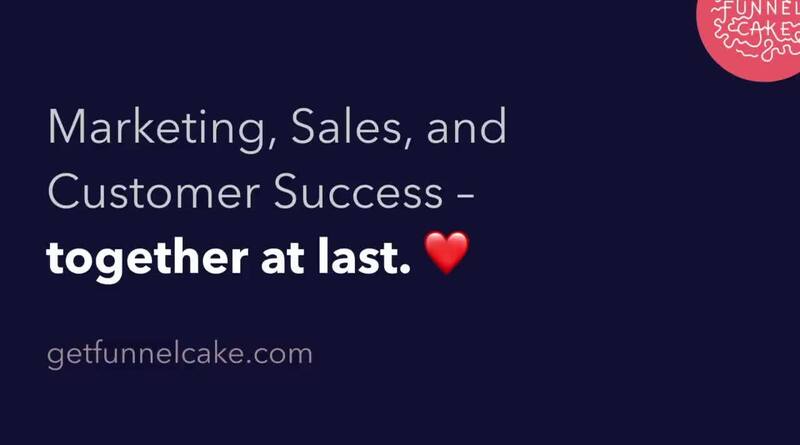 Marketing, Sales, and Customer Success – together at last. Namely needed a full funnel tool that delivered the combination of visibility and flexibility. Within a month of launching, conversion rates improved by 1.5x. Auvik saw a 2x improvement in full funnel conversion since launching FunnelCake – using alerts and interactive reports to help Auvik’s reps build the right Salesforce habits. "Our reps love using FunnelCake — the reports help them close more deals faster." Use FunnelCake worksheets with your team to identify where gaps exist in your funnel. Thanks for your interest - check your inbox, your worksheet is on it’s way! Keep an eye on your inbox - your worksheet is on it’s way! A FunnelCake interview with Rachel Miller, Senior Social Strategist at Thulium.co, on lead generation with social influencers. This is an interview by FunnelCake with Curt Crosby, Co-Founder of Velas Coaching, on the difference between Sales Coaching and Sales Enablement. FunnelCake interviews Karen Hayward, Managing Partner for Chief Outsiders, on how her 20-year career in sales and marketing impacts the way she approaches consulting today. FunnelCake interviews Tim Hughes, CEO at Digital Leadership Associates, about social transformation and social selling. Today's conversation is with Jenny Coupe, Senior Director of Americas Marketing at Akamai, about how she uses the Sales and Marketing experience she's gathered over her career in numerous startups and applies it to her new role in an Enterprise business.